Product prices and availability are accurate as of 2019-04-22 12:11:26 EDT and are subject to change. Any price and availability information displayed on http://www.amazon.com/ at the time of purchase will apply to the purchase of this product. Purifies air with a built-in ionizer. 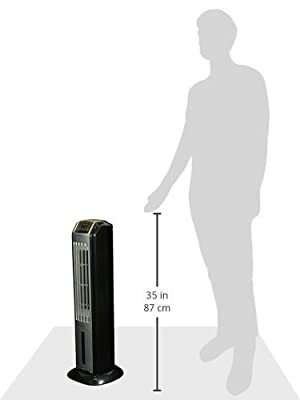 Oscillates 60 degrees for better air distribution. 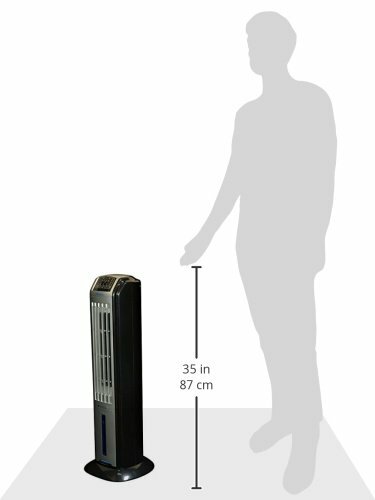 Evaporative cooling fan in compact design. Cools up to 75 sq. ft. area. Comes with an electric timer and remote control.